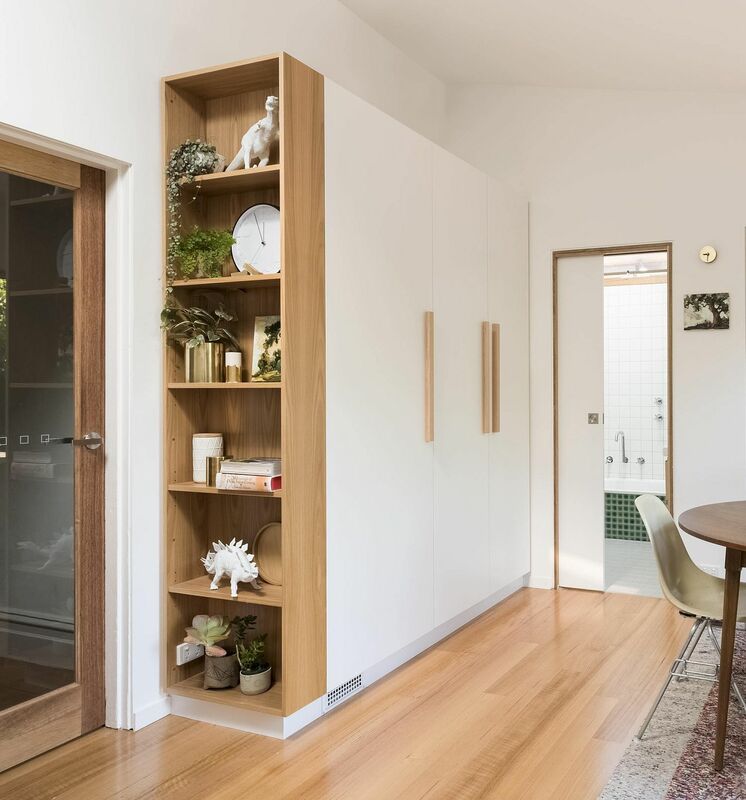 Simplicity often produces best results in the world of interior design and this holds true while planning for a smart rear extension as well. 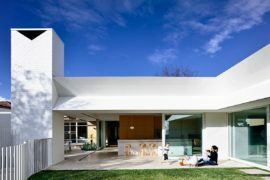 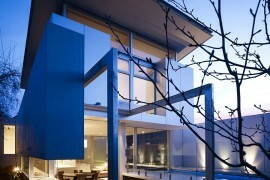 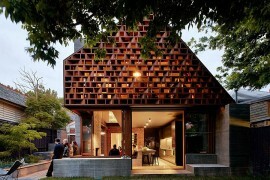 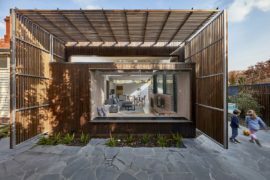 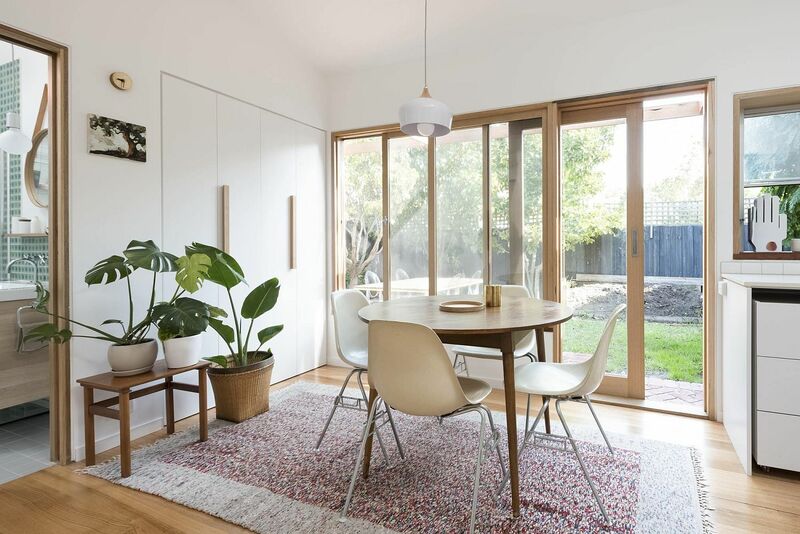 Nestled in a lovely neighborhood of Melbourne, the St. David Street House has been given a modern facelift by Drawing Room Architecture even while keeping the street façade of the house completely untouched. 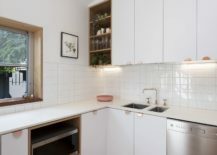 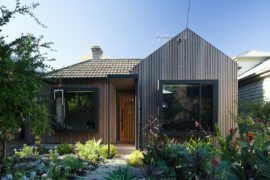 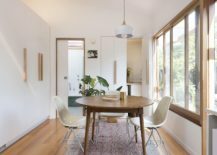 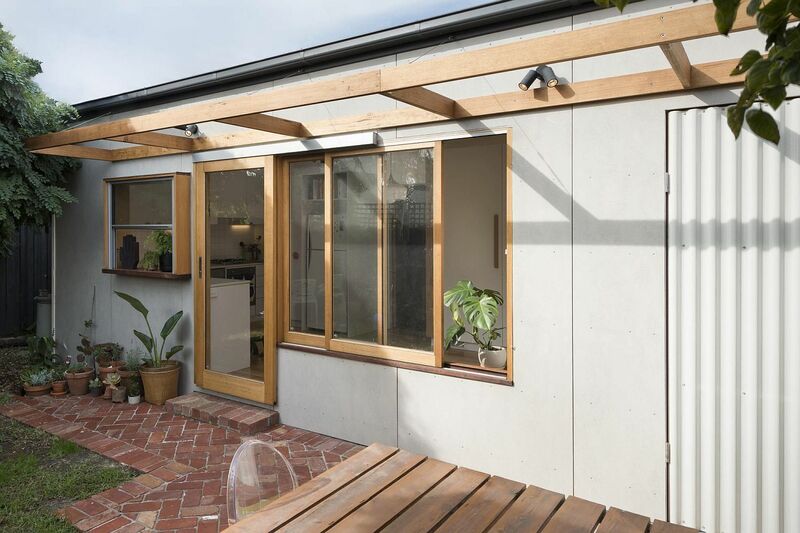 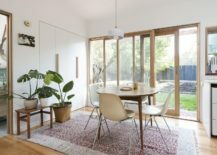 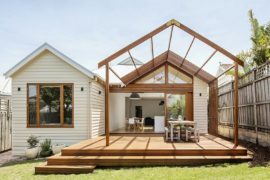 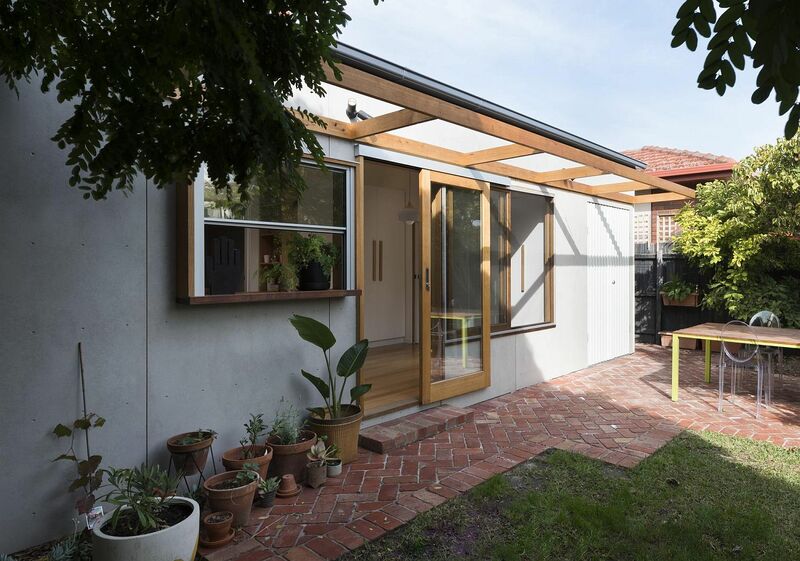 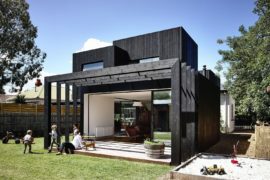 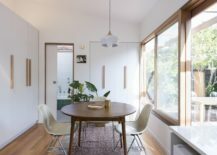 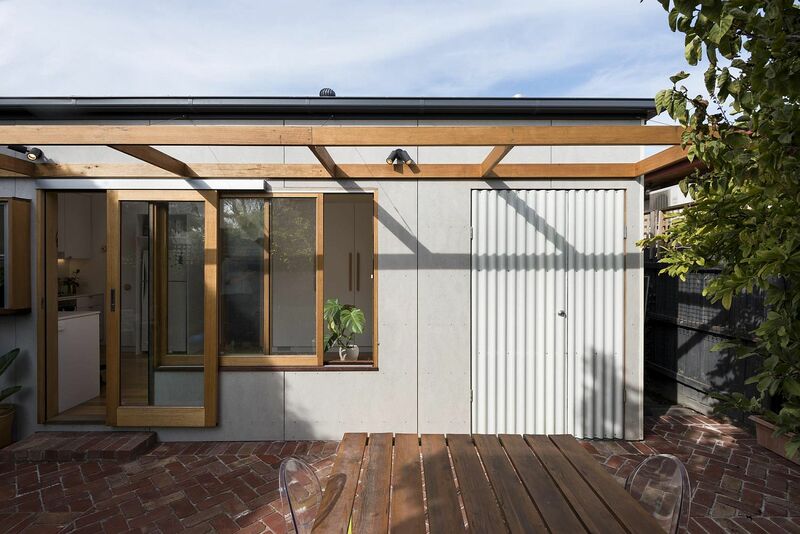 The small Victorian house was in need of a contemporary upgrade and this came in the form of a breezy rear addition that now contains the new kitchen, dining area, storage space and bathroom. 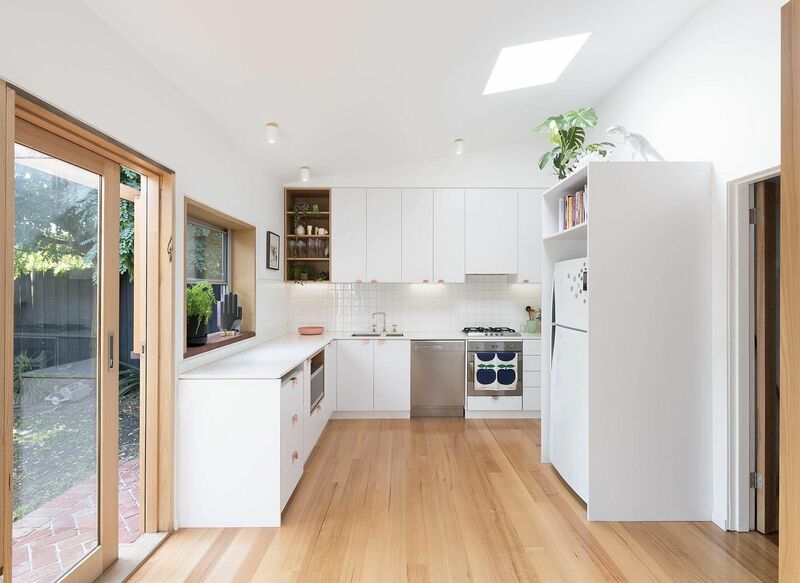 Relying on a neutral color scheme that is anchored in white and ample natural light, the stylish extension flows into the small garden outside. 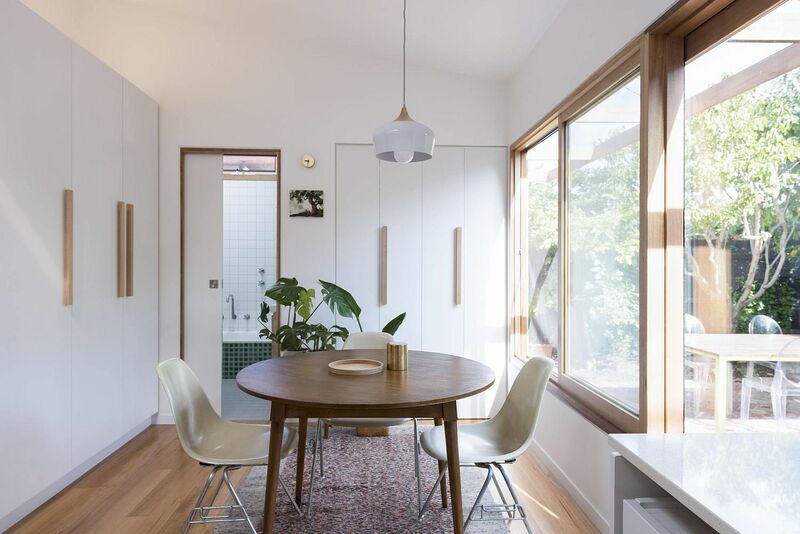 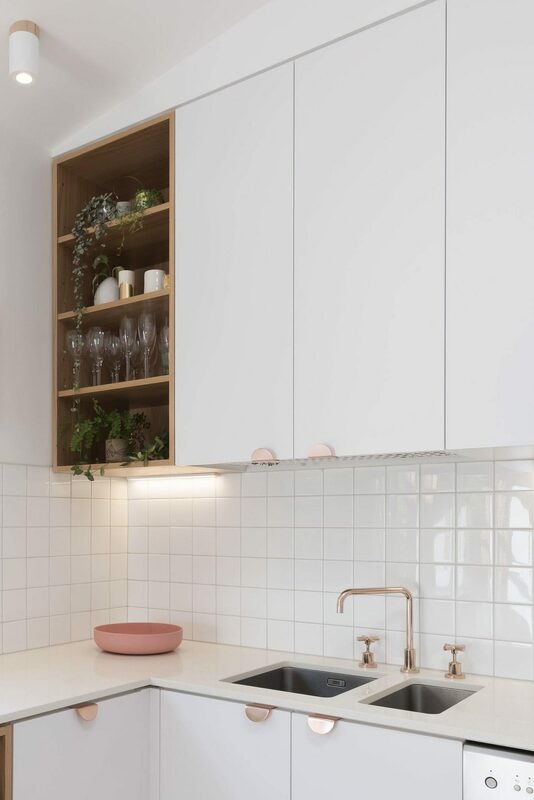 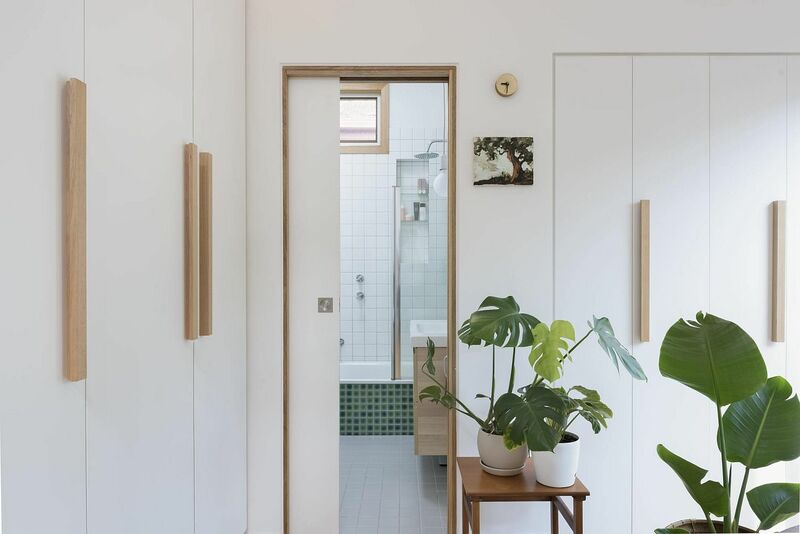 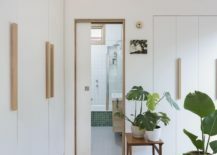 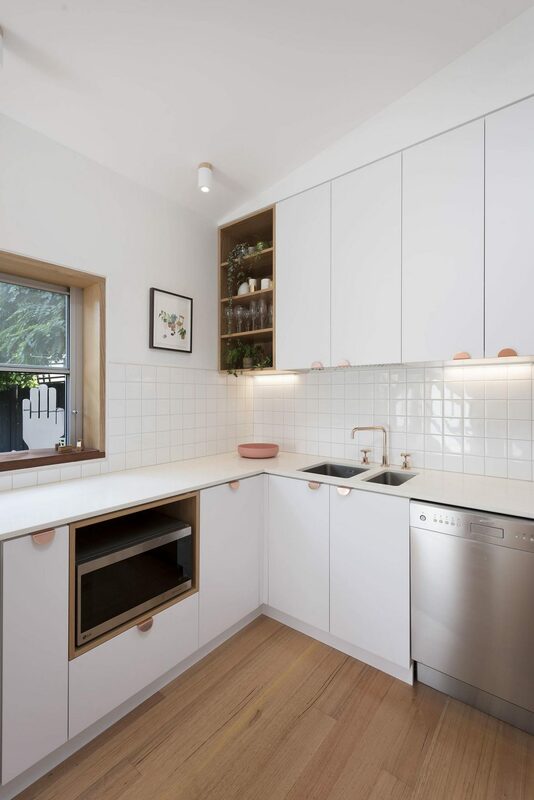 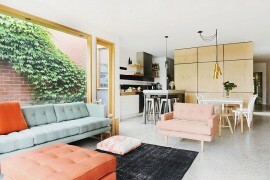 A series of large sliding doors and windows bring in plenty of sunlight while sparkling copper accents and curated timber surfaces provide contrast to a space painted in white. 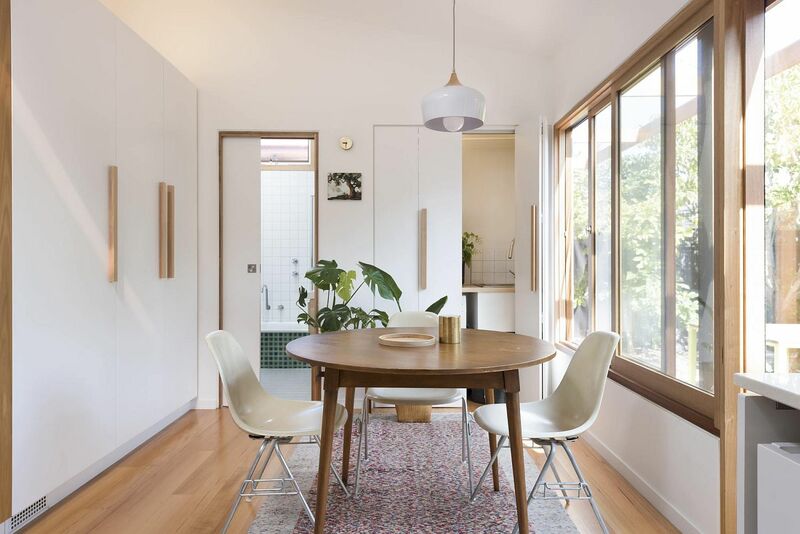 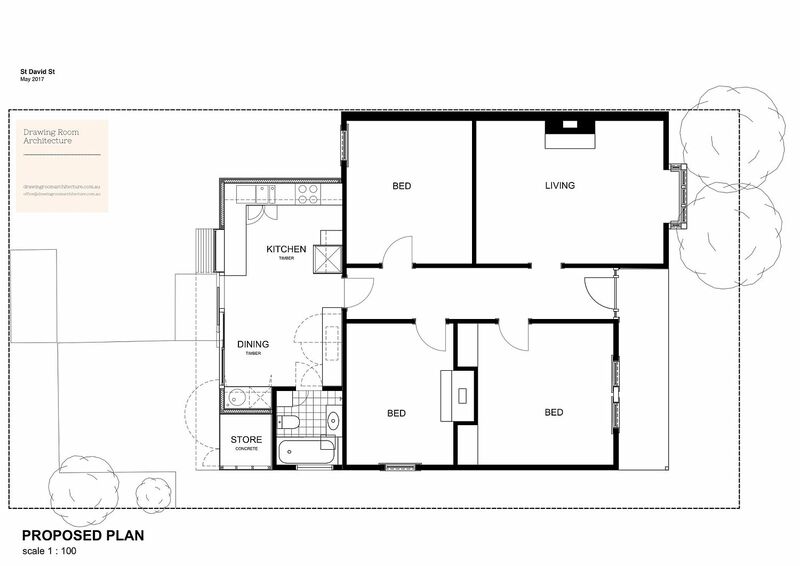 The seemingly monochromatic look of the interior cuts down on visual fragmentation, gives the modest kitchen and dining area a more spacious appeal and also brings light into the bedrooms and living area at the front. 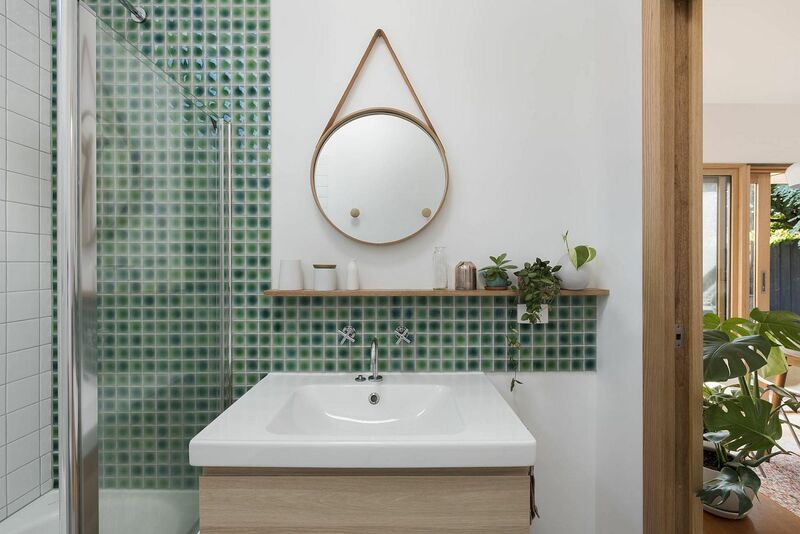 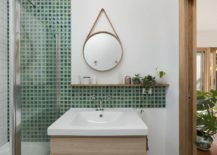 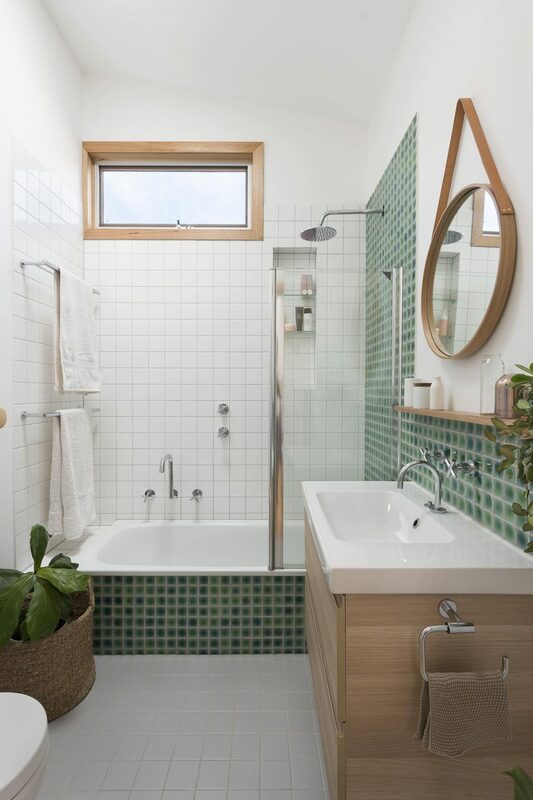 Tiles in the bathroom bring a hint of green to the polished space with a chic mirror and floating vanity stealing the spotlight.